McClave SA, Snider HL. Dissecting the energy needs of the body. Curr Opin Clin Nutr Metab Care. (2001) 4(2):143-7. The majority of the resting energy expenditure can be explained by the energy needs of a few highly metabolic organs, making up a small percentage of the body by weight. The relationship of the specific size, individual metabolism, and proportional contribution to the actual body weight and total energy expenditure for each of these organs is a dynamic process throughout growth and development, the onset of disease, and changes in nutritional status. 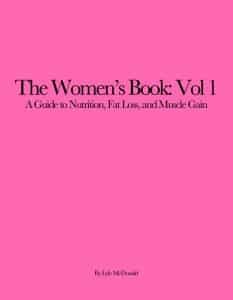 Defining the energy needs of the individual tissues and organ systems immeasurably enhances our understanding of the body’s response to these clinical processes, which otherwise could not easily be evaluated by focusing solely on total energy expenditure, fat-free mass, nitrogen imbalance, or actual body weight. Recently reported studies have served mainly to reinforce concepts described previously, and clarify some areas of controversy. Last month, I answered a Q&A on Reducing Body Fat Percentage by Gaining Muscle and in that article I mentioned that the actual caloric burn of skeletal muscle is actually quite low compared to what is often claimed. In the comments section someone mentioned a recent seminar where the value of 50 cal/lb for muscle was thrown out and asked for clarification on my claim. Unlike previous research reviews, today’s paper isn’t an actual study but rather a review paper so my discussion will be a little bit different in terms of what I want to look at. The paper itself is actually fairly technical and I don’t want to focus so much on the technical aspects as on the concepts and implications that the paper deals with as they pertain to issues of body composition. More specifically I want to look at some of the common claims that are often thrown around in the world of body composition such as “Adding muscle mass significantly raises metabolic rate.” and “Fat cells burn no calories, they are metabolically inert.” While this paper was examining the issue from a different perspective, it actually provides good data on both questions. Specifically today’s paper examines in some detail how different tissues of the body (e.g. muscle vs. fat vs. organs) contribute to the body’s resting energy expenditure. As well, factor such as disease, growth/development and under-nutrition are examined in terms of how they impact on different tissues in the body and their energy expenditure. As I discuss in detail in Metabolic Rate Overview, there are four primary components to total daily energy expenditure: Resting Energy Expenditure (REE), Thermic Effect of Activity (TEA), Thermic Effect of Food (TEF) and Non-Exercise Activity Thermogenesis/Spontaneous Physical Activity (NEAT/SPA). Of those four, resting energy expenditure plays the major role in total daily energy expenditure, generally comprising 65-70% of the total. So looking at the differential impact of each tissue on REE tends to give pretty decent picture of what’s going on. The paper begins with an introduction to the overall concepts, pointing out estimating REE in individuals of different body sizes has been classically difficult. While body weight per se is a decent indicator, REE actually tends to scale better with body surface area. However, this gives no indication of which tissues (and in what proportion) are contributing to overall REE. Readers may have seen the statement that ‘The largest predictor of REE is lean body mass” and there is certainly some truth to that. However, lean body mass (aka fat free mass) only predicts 53-88% of the variability in energy expenditure. There are a number of reasons for this not the least of which being that lean body mass/fat free mass is not a single homogeneous tissue. Rather, as discussed in What Does Body Composition Mean, lean body mass represents organs, skeletal muscle, bone, skin and basically everything in the body that isn’t fat mass. And as you’ll see shortly, each of those tissues burns very different numbers of calories on a day to day basis. Which means that variability in the amounts and proportions of those tissues will impact on overall resting energy expenditure. Next the paper discusses the different methodologies used to estimate the resting energy expenditure of different tissues. I don’t want to get into huge detail on this. Suffice to say that newer technology has allowed for more and more accurate methods of estimating the caloric expenditure of different tissues in the body. While they are still not error-free (nothing in science ever is), some of the newer methods of measurement may explain why some of the oft-held beliefs about caloric expenditure and values that are often thrown out are turning out to be wrong. Of course that also means that future developments may render current values incorrect. As you can see above, and quite contrary to what is commonly stated, skeletal muscle actually has a fairly low resting energy expenditure, roughly 6 calories per pound. This is contrast to very old values of 100 calories/pound or even more recent claims that a pound of muscle will raise metabolic rate by 40-50 calories per pound. Additionally, an in contrast to what is commonly claimed, fat cells do burn calories. Admittedly the value is not massive (roughly 2 calories per pound) but the idea that fat cells are completely inert is also incorrect. We now know that fat cells produce a variety of hormones, etc. (e.g. leptin, adiponectin) and that expends calories. Again, not much per unit mass of fat, but for someone carrying a lot of fat mass, this does add up. Perhaps of more relevance, and getting back to the paper per se, the primary contributor to resting energy expenditure comes from the organs with the liver, heart, kidneys and brains contributing roughly 70-80% of total resting energy expenditure. This is despite the fact that they only make up approximately 7% of total body weight. That is, despite their relatively small weight, they are simply massively metabolically active on a day to day basis. In contrast, while skeletal muscle may contribute roughly 40% of total weight (a little bit less in women), it only contributes 28% of total resting energy expenditure. Essentially, the relatively small caloric burn of a single pound of muscle mass is made up for by the sheer quantity of it. Which doesn’t change the fact that adding muscle mass still won’t have a massive impact on resting energy expenditure. To put that into mathematical perspective, gaining 20 pounds of muscle would be expected to increase resting energy expenditure by approximately 120 calories per day. Certainly that does have an impact overall (equivalent to perhaps 10 minutes per day of moderate intensity cardio) but also keep in mind the time frames involved to gain that much muscle mass. Expecting that adding a bit of muscle to have massive impacts on metabolic rate in the short-term is simply unrealistic; a few pounds gained simply won’t have any major impact. Rather, I would expect that any real impact of building muscle mass on The Energy Balance Equation is going to come through the training done to stimulate/maintain muscle mass increases along with the caloric cost of building the muscle in the first place. But once it’s there, the caloric expenditure at rest of skeletal muscle is simply very low. Having examined the average contribution of different tissues to the body, the researchers then look at a host of other topics, only a few of which I’m going to really look at in any detail. Growth and development is covered first, examining how the ratios of energy expenditure to body weight changes over the lifespan. Since most reading this are full grown adults, the changes that occur from childhood to maturity don’t seem that relevant. One issue of some importance is covered next and that’s the effect of differences in body size between individuals. In general, if you look at two people of different body sizes, larger folks tend to have lower resting energy expenditures relative to their body mass. This is most likely related to differences in the proportion of organ weight (recall from above that the organs contribute the most to overall resting energy expenditure) to total body weight. Meaning this: on average, organ weight won’t vary much between individuals. So if one person is larger than another, that difference in size is likely to occur through changes in either muscle mass or fat tissue, neither of which makes massive contributions to resting energy expenditure (and differences in body composition won’t have nearly the impact that most think given the relatively small difference in caloric expenditure between muscle mass and fat mass). Practically, this means that equations that estimate resting energy expenditure based solely on body weight will tend to overestimate larger individuals to some degree. Of course, as I recently discussed in Adjusting the Diet, since all estimates of energy expenditure and/or caloric intake have to be adjusted based on real-world changes anyhow, I’m not sure how important this is practically. I should probably address a question that I imagine will come up in the comments, given the enormous variability in energy expenditure per pound of tissue, where does the quick estimate of 10-11 calories/pound (22-24 cal/kg) come from? And the answer is that it’s basically a weighted average of the above values. That is, if you took the values for caloric expenditure/unit weight times their contribution to overall weight and worked it out, you’d get a value that was pretty close to the quick estimate value. Again, this will tend to vary based on actual body size due to differences in the relative contribution of each tissue to the body’s total weight. Next the researchers looked at the impact of both undernutrition and refeeding on energy expenditure at rest. During underfeeding, they point out that skeletal muscle and fat are generally the major tissue lost while organs are spared. This tends to have the impact of raising the relative proportion of energy expenditure to body weight (because the low energy expenditure tissues are being lost). Of course, with extended dieting, there is also an adaptive component of metabolic rate reduction as all tissues in the body tend to slow their overall energy expenditure. In contrast, during refeeding, there is often a hypermetabolic state that occurs, possibly due to increases in protein synthesis, core temperature and the thermic effect of food. As well, there are a number of hormonal effects that occur when calories are raised, a topic I discuss in more detail in The Full Diet Break, all of which may have potentially beneficial impacts on overall energy expenditure and metabolic rate. Finally the researchers examine the impact of disease and injury on energy expenditure but I don’t find that terribly relevant to this article. The main point that I wanted to make with today’s research review was to clear up some of the oft-held (and unfortunately incorrect) ideas regarding the impact of things like skeletal muscle mass and fat mass on resting energy expenditure. Based on current data, the idea that skeletal muscle burns massive numbers of calories would appear to be 100% incorrect. Rather, skeletal muscle actually burns fairly few calories on a per pound basis; it primarily has a major impact on resting energy expenditure because there is a good bit of it. But adding even moderate amounts of muscle are unlikely to massively impact on energy expenditure. As noted above, I expect the major effect to be from the effort of stimulating muscle mass gains along with the energy needed to synthesize that muscle tissue. But once it’s there it doesn’t burn many calories. Finally, fat cells, while not having much of a calorie burn do burn calories. In fact, they are only about 1/3rds of the burn of skeletal muscle (2 cal/lb vs. 6 cal/lb respectively). While low, someone carrying a lot of fat will have this add up and it will contribute to overall resting energy expenditure.